Plantronics .Audio 365 Computer Headset - Headsets Direct, Inc.
.Audio 365 Computer Headset has been discontinued. Click to view latest computer models. 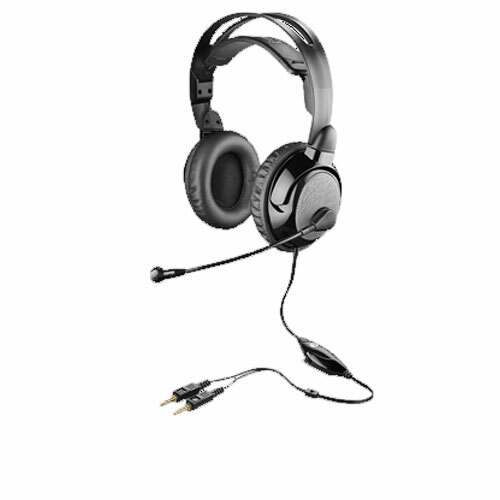 Live the game through the bass-boosting resonance of Plantronics .Audio 365 Multi-Performance headset. The closed-ear design and bass-enriched stereo ensure a dynamic, uninterrupted, full-throttle gaming experience. The lightweight, adjustable headband and amply cushioned earpods provide hours of sound intensity in form-fitting comfort. A noise-canceling microphone features the QuickAdjust precision boom for superior speech recognition. Adjustable inline volume and mute provide full control over listening and speaking. Also ideal for music and Internet talk, the .Audio 365 is compatible with most popular PC sound cards for plug-and-play ease.